In the State of California it is illegal for anyone to possess wildlife without a permit. This includes veterinarians, pet stores, and members of the public who “are good with animals”. Wildlife rehabilitators, who have been granted rehabilitation permits from the CA Dept. of Fish and Game are specially trained to care for orphaned and injured wildlife until they can be released back to the environment where they were found. 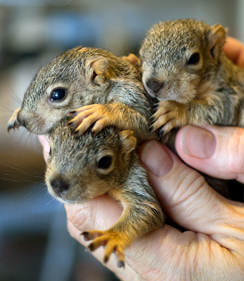 In the case of a baby squirrel, this process can take from 8 to 14 weeks during which time the babies are fed special formulas and then transitioned to a wild diet to enable to survive on their own, all while taking care to keep the animal WILD. Rehabilitators receive no funding and rely solely on donations to care for wildlife. 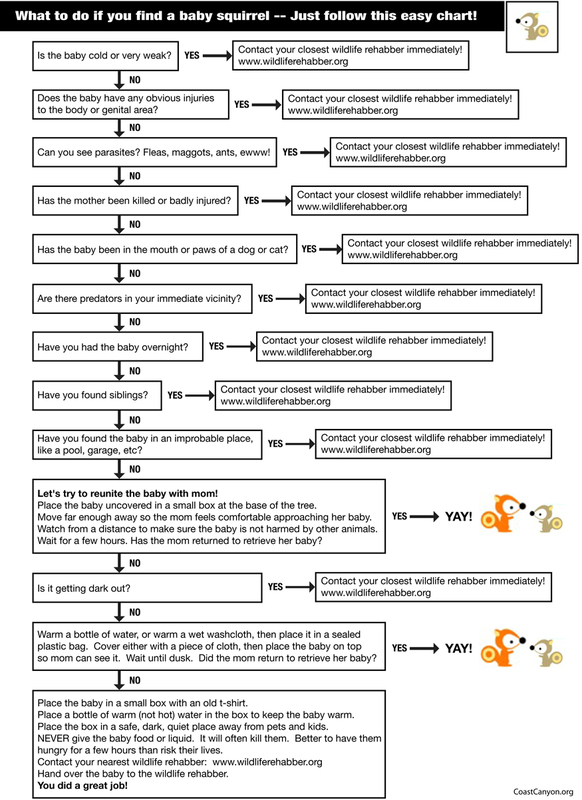 Copyright © 2013 Coast and Canyon Wildlife Rehabilitation. All Rights Reservered.